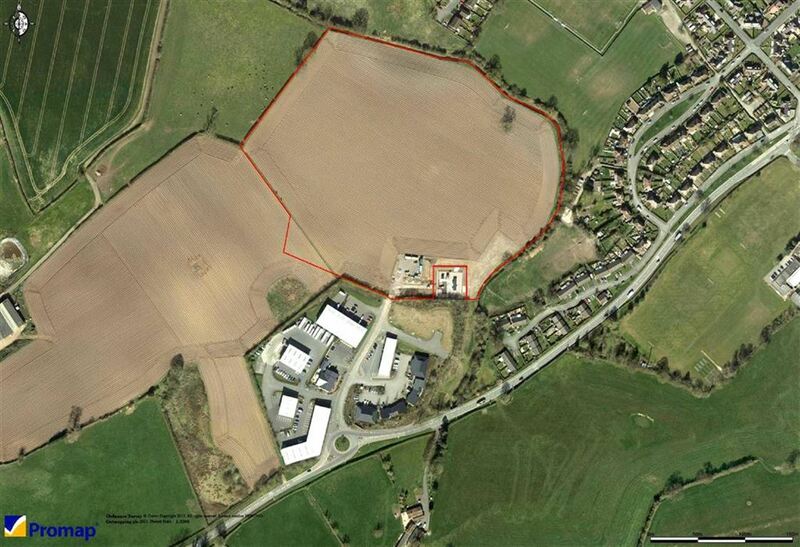 A Major Commercial/Industrial Development Opportunity on the outskirts of the well known North Shropshire town of Ellesmere. Halls are favoured with instructions to offer this well situated commercial/industrial development land which is adjacent to the well known Ellesmere Business Park, for sale by private treaty. The site extends to approximately 16.4 acres or thereabouts, and is the second phase of the expanding and successful Ellesmere Business Park, which is located on the edge of the well known North Shropshire Lakeland town of Ellesmere. Phase I of the Business Park has been extremely successful and is, now, home to a wide variety of Businesses. The availability of Phase II does, therefore, provide an excellent opportunity to develop this well located site, which already has good access off the A495 through Phase I of the Business Park. The land is suitable for B1, B2 & B8 uses as per the Planning Permission granted on the 10th August 2012. 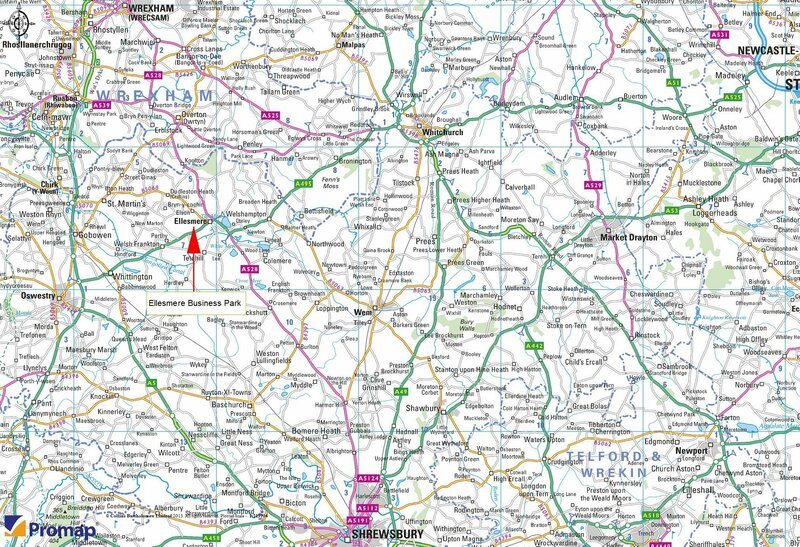 The land is situated on the north western edge of the well known North Shropshire Lakeland town of Ellesmere. Ellesmere has an excellent range of local shopping, recreational and educational facilities and is a noted centre in the leisure industry, due to its well known meres, canals and walks. However, the town is still within easy motoring distance of the nearby larger centres of Oswestry (8 miles), Shrewsbury (16 miles) and Chester (24 miles), all of which, have a more comprehensive range of amenities of all kinds. The A5 trunk road is only approximately 6 miles away, giving excellent access north to Wrexham, Chester and the North West and South to Shrewsbury, Telford and the West Midlands. Proceed out of Ellesmere on the Oswestry Road (A495) to the roundabout for the Ellesmere Business Park (Phase I). Turn right and continue through the Business Park and the land will be found, identified by a Halls For Sale board. The land is said to be of freehold tenure and vacant possession will be given on completion of the purchase. We understand that mains, water, electricity, gas and drainage are all available on or near the site. We would recommend that any interested parties confirm their proposed use and plans with the planning department at Shropshire Council prior to proceeding. Prospective purchasers(s) are required to undertake their own investigations and fully satisfy themselves as to the suitability of the site for any use or development scheme proposed. The Purchaser shall be deemed to have full knowledge of the boundaries and neither the Vendor nor their agents will be responsible for defining ownership of the boundary fences or hedges. The property will be sold subject to any wayleaves, public or private rights of way, easements and covenants and all outgoings whether mentioned in these sale particulars or not.